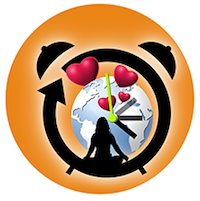 To amplify our “1 Minute Meditation for Peace” campaign and concentrate the positive energy of our individual and collective meditations, we suggest meditating 1 minute for peace at the end of each hour. At the 59th minute point, just stop briefly and send energy of peace and love to all humanity. You can do this meditation yourself or in a group. Others will be joining you at the same time on every continent! While humanity’s chances of survival are slim, there is still a chance and we must do everything possible to enlarge the light of peace on our planet, so spread more and more of it by meditating hourly at the 59th minute. Please start at the end of this very hour and spread this message!